Lifetime Movies is taking a break from airing its usually bloody weekend fare and showing a new family movie called Every Other Holiday, on November 23, 2018. It’s about an estranged couple forced to spend Christmas together by their two young daughters. Will love blossom again? Find out by watching Every Other Holiday this Friday night. Can a couple fall in love all over again? That seems to be the central question in Lifetime Movies’ new film Every Other Holiday, which will air just in time to kick off your weekend. Every Other Holiday premieres at 10:00 p.m. EST on November 23, 2018, and explores whether an estranged couple can pick up the pieces and have a second shot at romance. Here are some details about the movie’s plot and cast. Tracie (Schuyler Fisk) and Rick (David Clayton Rogers) have separated recently, but they’ve made a point of spending every other holiday with their two young daughters named Harper and Ava. This Christmas, Harper and Ava want only one thing: to spend their Christmas with both Mom and Dad at Tracie’s family farmhouse. Staying together and facing each other, even if for a short while, is something the couple does not want to do, but they are helpless to deny their beloved children’s wishes. However, in the best traditions of Christmas, there is an outside chance that the old romance between the two might be rekindled. If this unlikely event happened, Harper and Ava would be ecstatic. It could be the whole family’s best Christmas ever! Apart from Schuyler Fisk and David Clayton Rogers, the film also stars actors like Dee Wallace, Glenn Morshower, and Abby James Witherspoon. 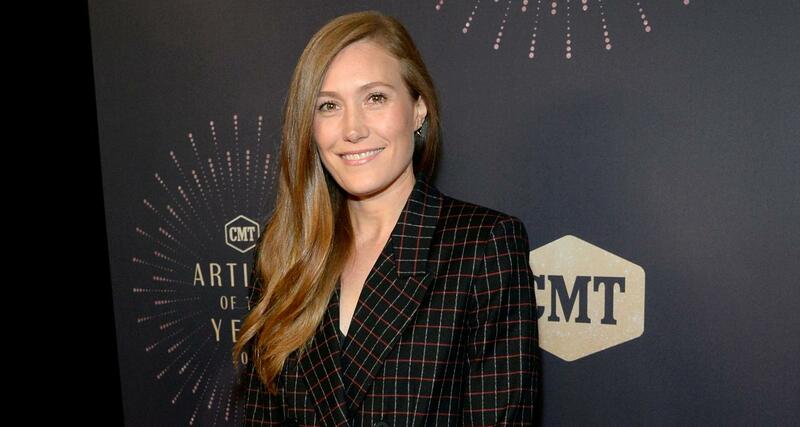 Born on July 8, 1982, in Los Angeles, California, Schuyler Fisk’s age is 36 years old. Fisk is an American actress and singer-songwriter who happens to be veteran actress Sissy Spacek’s daughter. Fisk began a career in performing as a child, by working in her school’s theater productions like Charlotte’s Web and Annie. yesterday started bright and early at the @lafoodbank with friends (shout out to group Cereal A ?? )and ended at @thehotelcafe celebrating and singing the music of @vanmorrisonofficial with amazingly talented friends….with a boozy brunch and tour of DTLA somewhere in the middle. pretty much the best day ??. humbled, inspired, grateful, happy and tired ? scroll ?????? She has performed songs for several TV series, like Life Unexpected, Ugly Betty, and Arrow. She has acted in movies and TV shows such as The Baby-Sitters Club, Snow Day, Hart of Dixie, Fear the Walking Dead, and Castle Rock. Born on October 21, 1977, in Atlanta, Georgia, Clayton’s age is 41. Clayton is an American actor, writer, and film producer who has appeared in films like Sublime and Dark Ride. Clayton began his career by appearing in the TV film Bloody Sunday and followed it up by acting in the TV series Gilmore Girls. Anyone who says you shouldn't cut your own hair obviously hasn't tried it. Over the years, he has acted in TV series such as NY-LON, Law & Order: Trial by Jury, Cold Case, CSI: Crime Scene Investigation, Ghost Whisperer, Jane by Design, Nashville, H+, Mixology, All Wrong, The Unsettling, and Reverie. He has also worked in several TV movies, like The Legend of Butch & Sundance, Demons, Austin Golden Hour, Pregnancy Pact, Revenge of the Bridesmaids, and Quest for Truth. So, turn the lights down low, get your handkerchiefs, and watch Every Other Holiday this Friday.